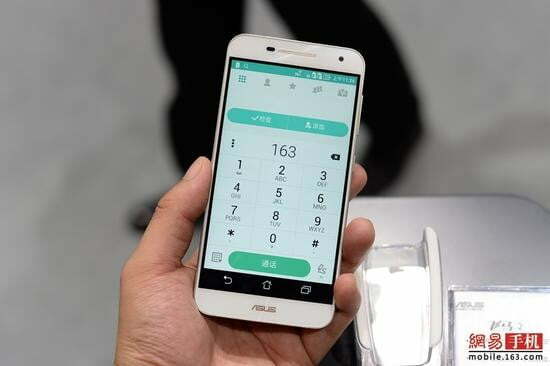 Not even a year after Asus announced the budget-friendly Pegasus X002, the company already announced its successor, the Pegasus 2 Plus, Phone Arena reports. Announced in China during the weekend, the Pegasus 2 Plus packs a 5.5-inch, 1,920 x 1,080 resolution display on the front. Right above the display is an 8-megapixel camera that should eliminate the graininess usually found in front-facing cameras. Meanwhile, you’ll find a 13-megapixel camera on the back, though it wasn’t revealed how much storage the Pegasus 2 Plus will have to store pictures taken with either camera. Taking a peek under the hood, the Pegasus 2 Plus is powered by a 64-bit octa-core Qualcomm Snapdragon 615 processor. That processor is increasing in popularity, with smartphone offerings such as the Oppo R5 and HTC Desire 820 all powered by the Snapdragon 615. What separates the Pegasus 2 Plus from these handsets, however, is the processor’s pairing with 3GB of RAM. Keeping the lights on is a 3,030mAh battery that will likely keep things running all day long. Speaking of which, Asus decided to put its custom ZenUI launcher on top of Android 5.1.1 Lollipop, a decision that we’re okay with, since we didn’t find ZenUI to be too offensive in our review of the ZenFone 2. The Pegasus 2 Plus also includes dual-SIM card support, with the phone itself coming in Rose Gold and White. Price and availability information weren’t announced, though China is sure to be where the Pegasus 2 Plus will initially launch. Regardless of its status as a dual-SIM device, however, keep in mind that the ZenFone 2 launched in the United States with such a feature, so never say never. In addition, as far as pricing is concerned, the Pegasus X002 launched at $130 when it was announced last December, so we don’t expect the Pegasus 2 Plus to be priced very high. Asus seems to be going for affordability with its smartphone offerings, and we don’t see that trend breaking any time soon.